Building an electrically-powered national high speed rail network across America is the single most powerful thing we can do to get the nation into a secure, sustainable form of mobility. A national network of high speed trains can be powered by a combination of renewable energy sources including wind, solar, geothermal, and ocean/tidal energy. America's dependency on oil is the most severe in the world, and inevitably pulls us into costly resource wars. Secretary of State Condoleezza Rice alerted the nation to energy problems back in 2006 saying, “The quicker we get about the business of reducing our reliance on oil, the better we're going to be." Our national oil dependence pushes us into exploring for oil in extreme locations such as 10,000 feet deep below the Gulf of Mexico. We use 25% of the entire world's oil supply, yet we only have 5% of the world's population. We use 8-10 times more oil per person per day than Europeans, and they have faster, easier and better mobility than we do. The extremely high daily oil consumption of Americans is not due to a higher standard of living, but because of the extremely inefficient nature of our national transportation system – based on individual vehicles powered by internal combustion engines, combined with our sprawling community designs that force people into cars for every trip. As the world oil supply peaks and then irreversibly declines, prices will rise faster, and the situation will get far worse for America if we don't quickly reduce our national oil dependency. This dependency cuts across our entire society and affects our daily survival. 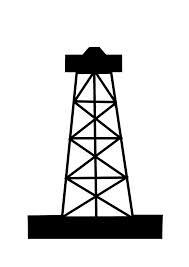 Oil provides 95% of the energy to grow, process and deliver food to the nation. Our entire national transportation system is powered mostly by oil. Numerous daily products we use are made from oil. We use 20 million barrels of oil every day - just in America - 70% of it for transportation. 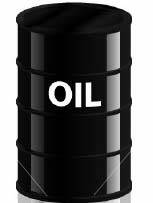 Of the 20 million barrels we consume, we import 2/3 of this oil (13 million barrels per day) from foreign sources, many in unstable places. No combination of drilling off our coasts, hydrogen fuel cells, natural gas, biofuels, and used french fry oil will solve this and carry 300 million Americans into the future. None of these fuels can be scaled up to anywhere near the amount of liquid fuel we use daily in any practical, economical, environmental, or sustainable way. We will need a combination of new fuel sources, greater efficiency of our existing systems, and a new national high speed rail network to transition into a prosperous futue.